I’ve heard it said that we have to exercise our Faith Muscles just like we exercise our bodies. So, I will do my PT ankle exercises and exercise my Faith Muscles too. When things look impossible from man’s point of view – that’s just the recipe for a miracle – all things are possible with God! Let us focus today on You, Your Word, Your Promises. 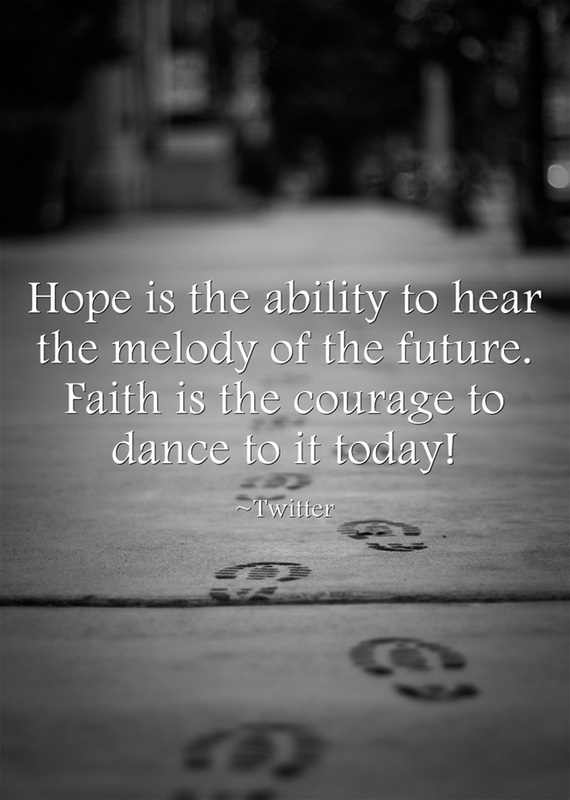 Let us listen for the melody of the future and dance to it today! And thank you Lord, that we don’t have to wait for the “Mical’s” approval; we are gonna rejoice in you with reckless abandon, despite what anyone says or thinks, in Jesus Name! Posted in Spirituality, Uncategorized and tagged all things are possible with god, Christ Jesus, David, depression, faith, fear, freedom, Hope, Inspiration, pain, Religion and Spirituality, romans 8, Spirituality, suffering, trumpet blasts. Bookmark the permalink. This was beautiful and inspiring as usual, and it spoke to me. I used to do interpretive movement (I won’t call it dance, because I truly can’t dance, but I CAN worship). Anyway, due to back pain and knee pain, I’ve been unable to do it, but, what if I did it anyway, in spite of the pain? What if I danced before the Lord, and my movements were stiff and awkward? What if I just offered my worship up to Him, regardless of how it might look to others? What if there was healing in my attempt to dance before the Lord? What have I got to lose? Thanks for the inspiration, Diana! I shared at church that although MS has kept me from dancing for the Lord like I used to do, this verse has been my promise for several years that the dizziness and fatigue will yield and I will rise again. “When things look impossible from man’s point of view – that’s just the recipe for a miracle – all things are possible with God.” Amen!!! You can’t have a miracle without first having an impossible situation to trust God in. Great post! Thank you Anna, I have to keep reminding myself of that. God’s abundant blessings to you! Bravo, brilliant, breathtaking – you are simply amazing! I can feel each writing deep within my heart! WOW… AWESOME.. Great post. Beautiful pic.